Baba Ramdev Wants To Beat Whatsapp; Launches Kimbho! Their tagline says "Ab Bharat Bolega" and they are positioning it as a WhatsApp competitor. Update: It seems that the app has been taken down from Google Play Store and iOS app store. It is not clear whether Google and Apple have taken down the app, or has Patanjali deleted them. Some rumours are in that this app was using Pakistani actress Mawra Hocane’s image, and this is the reason it was removed. Well, Patanjali has surprised us once again! After launching their Swadeshi Samriddhi SIM cards, they have now jumped into the world of social media. 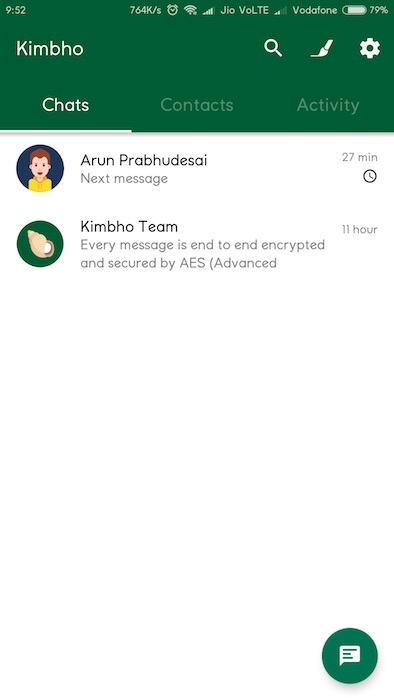 They have launched the Kimbho Messenger and it is now available for download on Google Play Store. The name seems apt because loosely translated from Sanskrit it means, “What’s up friend!” It already has more than 10,000 downloads in the Play Store. Patanjali really means business. Their tagline says “Ab Bharat Bolega” and they are positioning it as a WhatsApp competitor. But does it have what it takes to stand up against WhatsApp? Though Patanjali had launched their SIM cards in partnership with BSNL a few days ago, as of now the service is only available for Patanjali employees and office bearers. But the Kimbho messenger is already available to download for people. ??? ????? ?? ??? ???? ?????? ?? ????? ???? ???????? ?? KIMBHO, ????????? ?? ?????? ?????.. In another tweet, he declared it to be a WhatsApp challenger. ????? @yogrishiramdev @Ach_Balkrishna ?? ?????????? ??? ???? ????? ????????? ?????? ?? ???????????? ?????????? ?? #??????? ????? ?? ???? ?? ????? ?? #KIMBHO ??#???? #????????? Whether it can stand up to WhatsApp is a different question altogether, but the fact that an FMCG company selling Ayurvedic prodcuts has launched a messaging app seems incredible in itself. It has many features and is fully personalisable. But it has a long way to go before it can stand against WhatsApp. Let’s take a look at some of the features of Kimbho. The Kimbho messenger is a full-fledged messenger that is capable of sharing pictures, videos, documents, contacts and location. 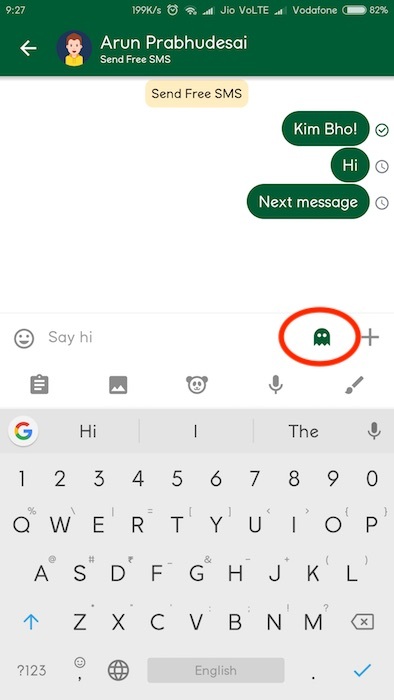 It also has some extra features that are rarely seen in other messengers, like the ‘Ghost Mode’. It supports a list of some pre-written phrases which can be sent with just one click. They are called ‘Quickies’. Users can add their own phrases to the list. Users can also send files, photos, videos, stickers, voice notes and hand-drawn doodles. The app’s Play Store description also metions that the app does not save any data on their servers and all the conversations are protected by AES encryption. But all is not well. 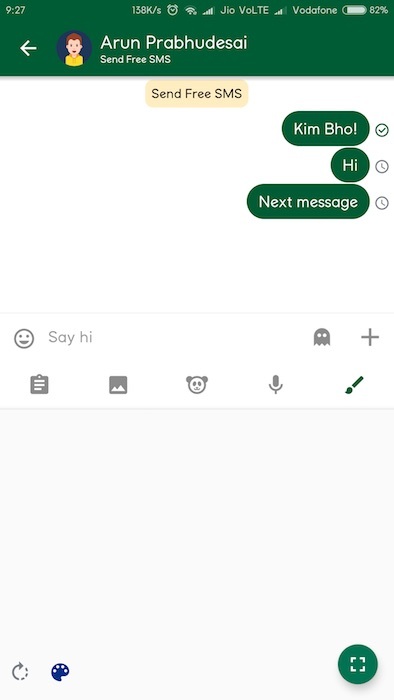 In our testing, the messages did not seem to go through. The one message which was showing as delivered at the sender end had not made it to the receiver. 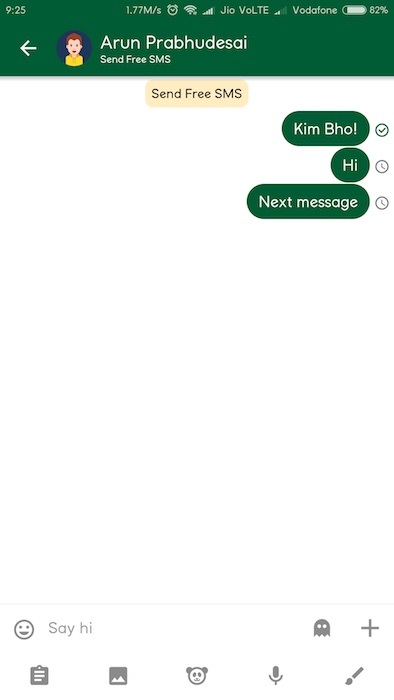 After 45 minutes or so, the queued messages simply disappeared from the screen. So clearly, the app is not ready for prime time yet. Immediately after the launch, cybersecurity engineer and vigilante hacker who goes by the name Elliot Alderson tweeted about security vulnerabilities of the app. Earlier, Elliot Alderson has shared several security loopholes pertaining to Aadhaar database, and its usage. In his latest salvo, Elliot has described Patanjali’s Kimbho as a ‘joke’, and has advised users not to download it. Do let us know your reviews! 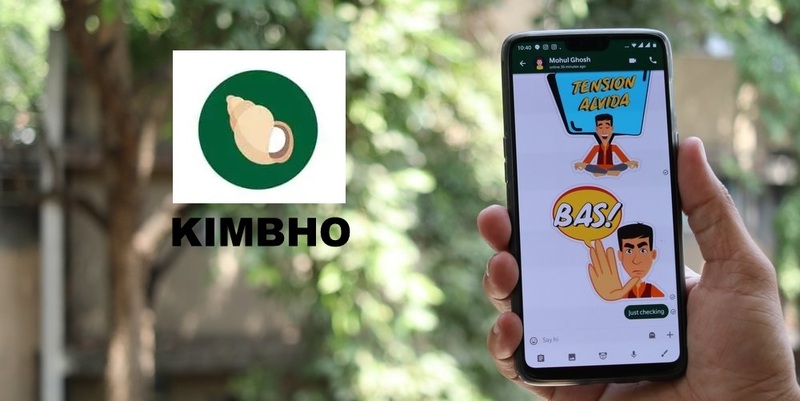 "Baba Ramdev Wants To Beat Whatsapp; Launches Swadeshi Messenger App Kimbho! [Updated]", 3 out of 5 based on 4 ratings. 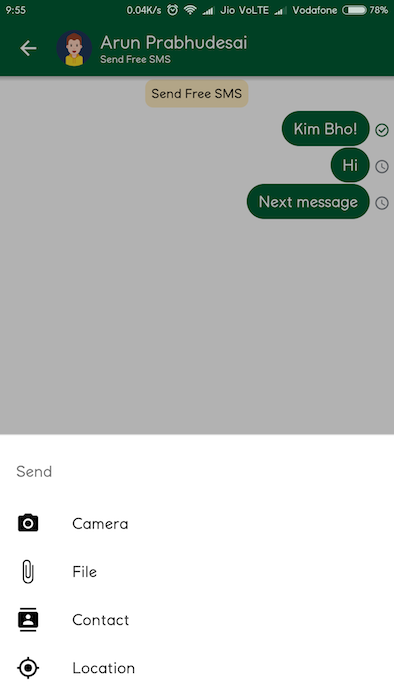 The app which is now there by the name kimbho is not a messaging up, it is just a status suggestions app for WhatsApp. The app that is now on play store is made by Techy Rajnesh and it is not a messaging app. I checked it .